Josh Parker’s mission in education and life is to “help people and solve problems.” Throughout his career, he has achieved both goals. He has served students and teachers within the Baltimore/Washington D.C. corridor as an ELA Instructional Coach, Language Arts Department Chair, Secondary Language Arts teacher, professor and compliance specialist. 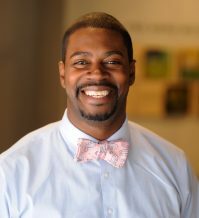 He now serves teachers, administrators and educational leaders throughout the country as the Director of Engagement and Programs at Unbound Ed. Mr. Parker, a Teaching Channel Laureate and Education Week writer, was also a Lowell Milken Unsung Hero (2017), N.E.A. Global Fellow (2013) and Maryland Teacher of the year (2012). He lives with his wife of over a decade, Tiffany and their two children, Laila and Joshua.